A born leader, charismatic orator, creative genius, process doctor – adjectives would be less to evaluate Ajeyo Rohitashwo ~ Al Quazi, one of the leading HR and OD professional in Bangladesh. Ajeyo Rohitashwo ~ Al Quazi (More known as Ajeyo in the corporate world) started his career at an early age of 22 as a part timer during his university days and got groomed in the boot-camp of one of the leading Bangladeshi pharmaceutical companies (The Acme Laboratories ltd.). In past 25 years, Ajeyo served not only different leadingBangladeshi organizations but also in different industries e.g. pharmaceuticals, real estate, banks, manufacturing industries, retail business, distribution houses, service industry and ICT in different echelon. Ajeyo was fortunate enough to experience first-hand; the transition towards HR from traditional administration role. This enabled him to lead 2 major conglomerates in Bangladesh as HR head in last 10 years;throttlingtheir business results to higher positive notes, as a strategic partner and HR advocate. Ajeyo joined aamra companies in 2011 as the Group Head of Human Resources & Organizational Development and acted as a strong pro-active leader throughout the entire tenure. He achieved the role of Group Chief People Officer (GCPO) of aamra companies in 2013, which is the highest level strategic position to take significant decision on Human ResourcesFunction. He is also the Executive Head of the Committee for Corporate Governance and Chief of Corporate Affairs & Compliances the executive decision-making body of the conglomerate. Since his joining, he has successfully centralized HR & Organizational Development function of all the SBUs under aamra companies by undertaking various projects that have effectively driven the growth of aamra. He empowered people to take ownership, provide coaching, training and mentoring to build cohesive teams working together in achieving individual targets and company objectives. As Group Head of HR &Org.Dev. aamra companies, Ajeyo introduced "Shigoto"as the foundation of HR Strategy and automated overall HR Operations that led to a lean HR team. HR function's cost minimized up to 31%.HR performance rating increased by 38% than the previous years (Staff Survey Report) in aamra within 14 months of taking over the charge as Group Chief People Officer, aamra companies.Employee engagement percentage increased up to 73% than previous 62% within 2 years of Ajeyo's taking charge as Group Chief People Officer of aamra companies. Ajeyo introduced fully automated, transparent 360oappraisal, which enhanced productivity and strengthened interpersonal relationship of aamra people. Ajeyo initiated and executed a 50K question bank to automate the written exams for interviews. Now anyone can attend the CCT (Core Competency Test) of aamra from anywhere in Bangladesh, even with a handheld device. This is a big step towards Bangladesh's vision for a "Digital Bangladesh". Ajeyo Successfully implemented SBU concept along with measurement tools of ROI of every department of TK Group of Industries, as Group Head of Human Resources, TK Group of Industries.Over all financial impact on the first year of this roll out was BDT 37 million positive in the books. Introduced employee development & benefit policies as well as review of some policies added remarkable value to TK Group of Industries the impact was impact of BDT. 2.3 millionpositive in the firstyear. "Extra Work Process" in Samuda Chemical Complex Ltd (A sister concern of TK Group of Industries) minimized 57% of the cost. 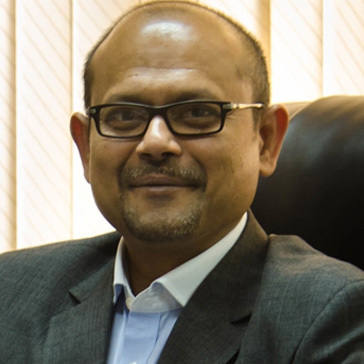 As Head of Organizational Development, Transcom Electronics Ltd., Ajeyo played key role in transforming the retail business from PHILIPS outlets to Transcom Digital (Brand Transformation).Also re-engineered the "Overall Services" of Transcom Electronics Ltd upgraded the turnaround time with an accountable system (Turnaround time reduced to 72 hours from 160 hours). As Head of Organizational Development, Transcom Electronics Ltd., Ajeyo re-engineered the "Supply Chain & Channel Distribution" of Transcom Electronics Ltd and upgraded the documentation procedures, ensured less turnaround time in distribution (from 140 hours to 66 hours) and executed cost efficient routing mechanism (Cost minimized 17% in distribution, Process loss minimized down to 21.63%). Ajeyo is also a poet and a writer. His Novel "Avimonnu"and book of Poems "Panchojonno"is collected and preserved by Alexandria Bibliotheca, Widener Library of University of Harvard,Bodleian Library of the Oxford University,Kroch Library of The Cornell Universityand several other major libraries of the world. As part of his social responsibility, Ajeyo invests almost 900 hours a year behind grooming fresh graduates on pro bono basis. Till date Ajeyo groomed 700 graduates who are already placed in various organizations. Long drive with dear ones to new destinations is the passion for Ajeyo at his leisure time. Besides this, Ajeyo loves tasting authentic cuisines from all around the globe.